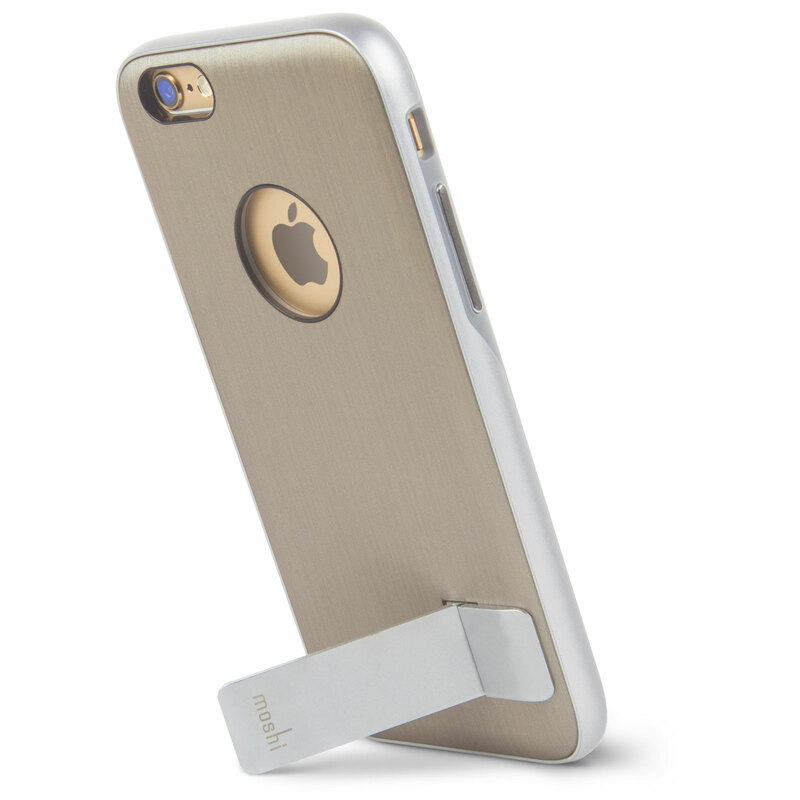 Moshi's Kameleon is a sophisticated kickstand case for iPhone 6 that provides hands-free video viewing and protects your iPhone in style. 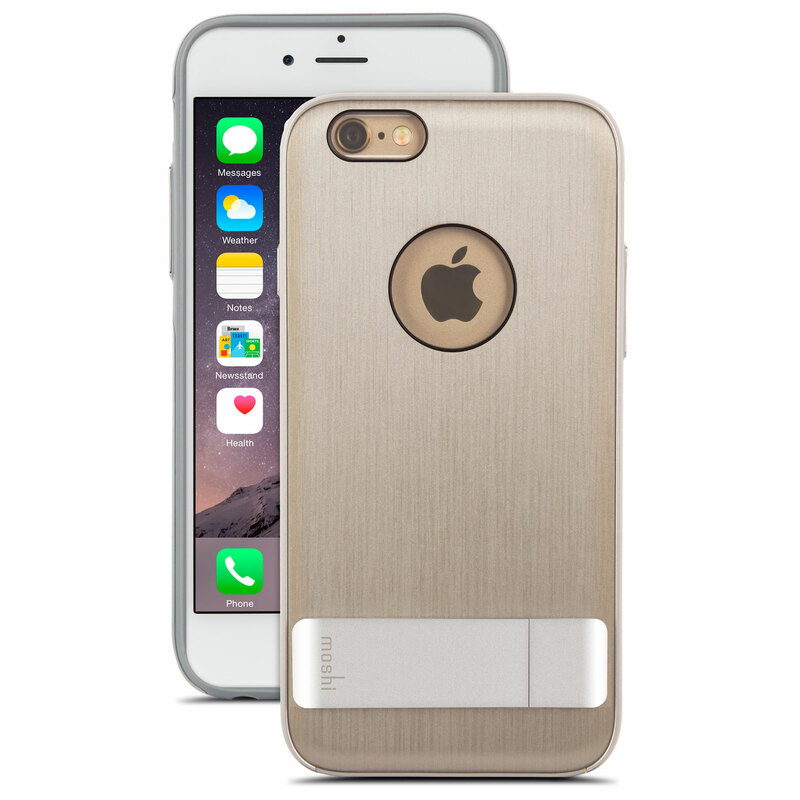 A soft microfiber lining cradles your device while a highly-resilient hybrid construction shell cushions it from shocks and bumps. 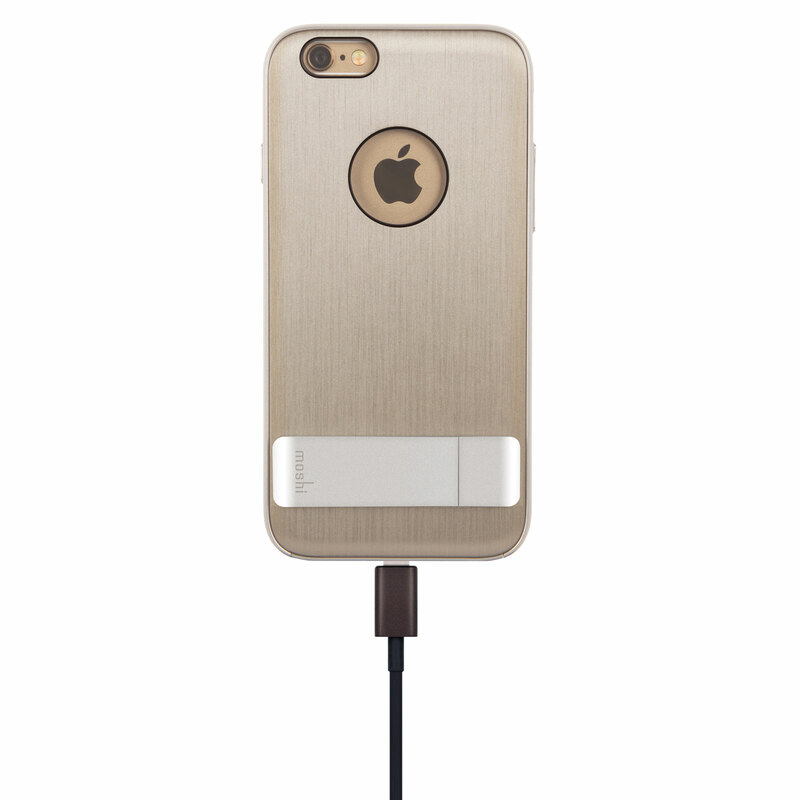 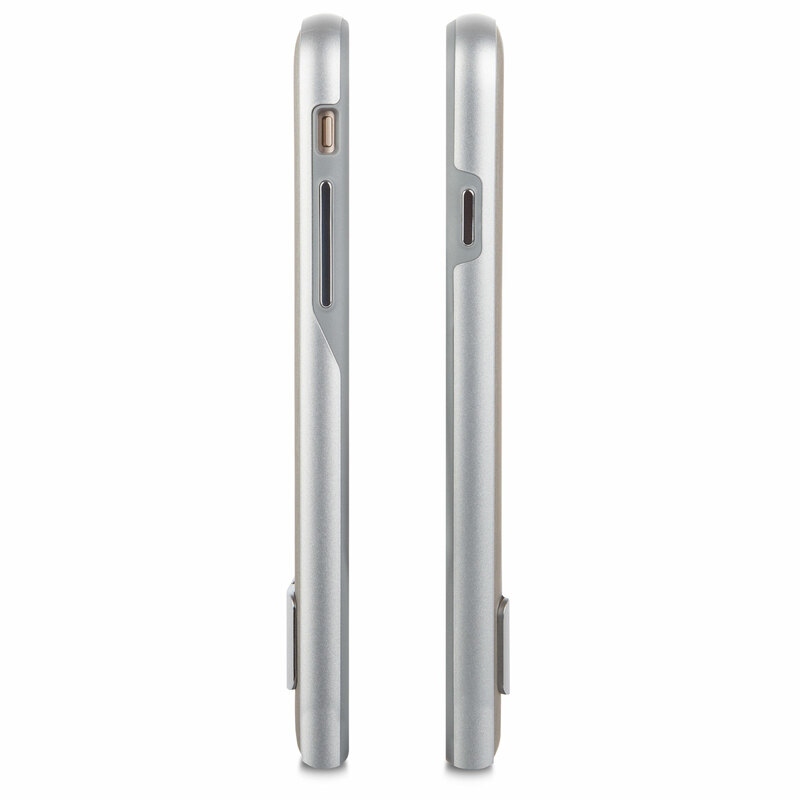 Slimmer than ever, Kameleon's built-in aluminum kickstand props your iPhone 6 horizontally as well as vertically, allowing you to watch videos or FaceTime with someone completely hands-free. 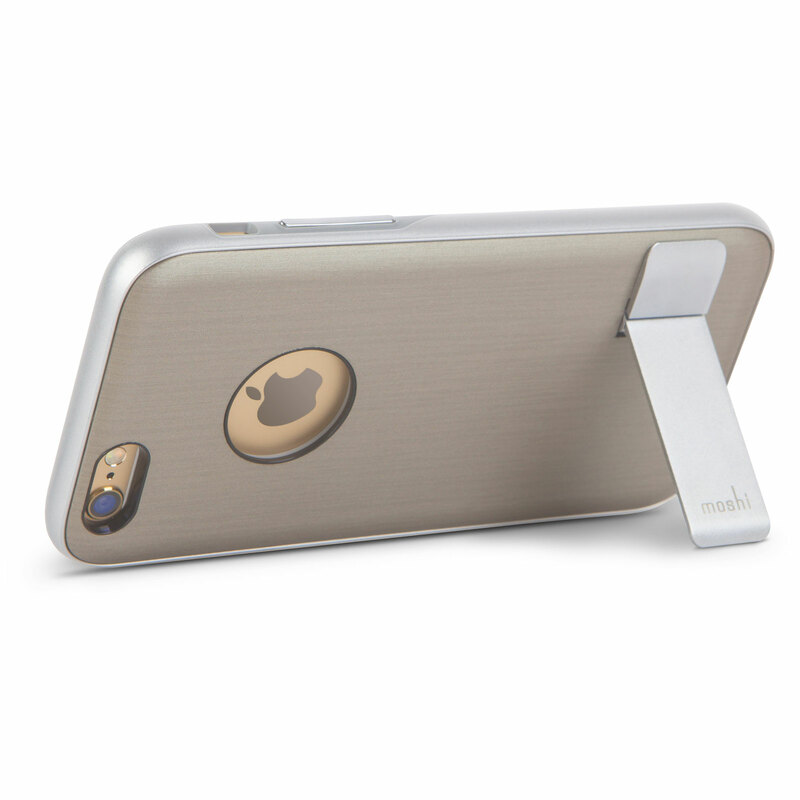 Designed for everyday use, Kameleon is the ideal kickstand case for those seeking stylish functionality and protection in one.